Atlas Junior lockers are the ideal solution when it comes to junior schools because of their reduced high. When locking is not an issue our swivel hasp locks can be used as a handle. Our Atlas lockers include many innovative features which work together to provide outstanding security and toughness - all at an affordable price. Thanks to their exceptionally low cost, these metal lockers mean that, regardless of where they’re being installed, security no longer must be expensive. Unlike other budget lockers, every door has a full height reinforcement bar and metal corner stiffeners. As well as delivering unparalleled strength and rigidity, this also prevents the doors from being easily bent or otherwise compromised - meaning you can count on these lockers to offer secure and reliable storage in the long term. Sitting behind each door is an internal four-way frame that prevents the doors from being pushed inwards - delivering increased security while helping to prevent vandalism. 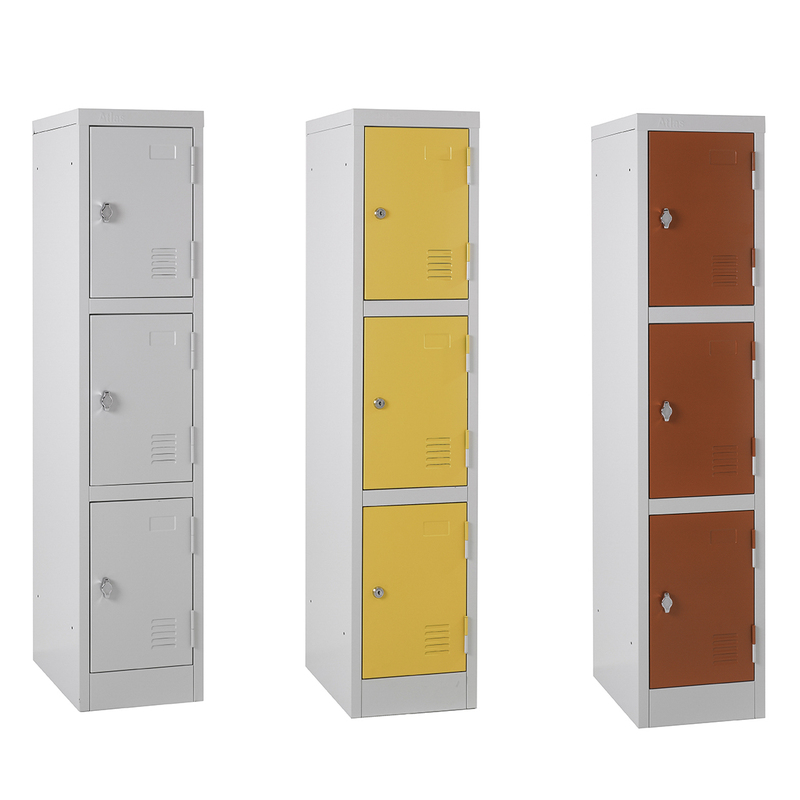 Our junior school lockers are reduced height 943mm and 1372mm lockers which can be bought in red, green, blue or yellow. These multi-purpose, low-cost security lockers are available in 3 heights, 2 widths and 2 popular depths - and can be supplied with key locks, pad lockable swivel catches or combination locks. To help you stay organised, each door has a moulded inset section for number plates (58mm x 28mm) - and accessories like stands and sloping tops are also available. The approximate lead time for lockers is 5 working days.